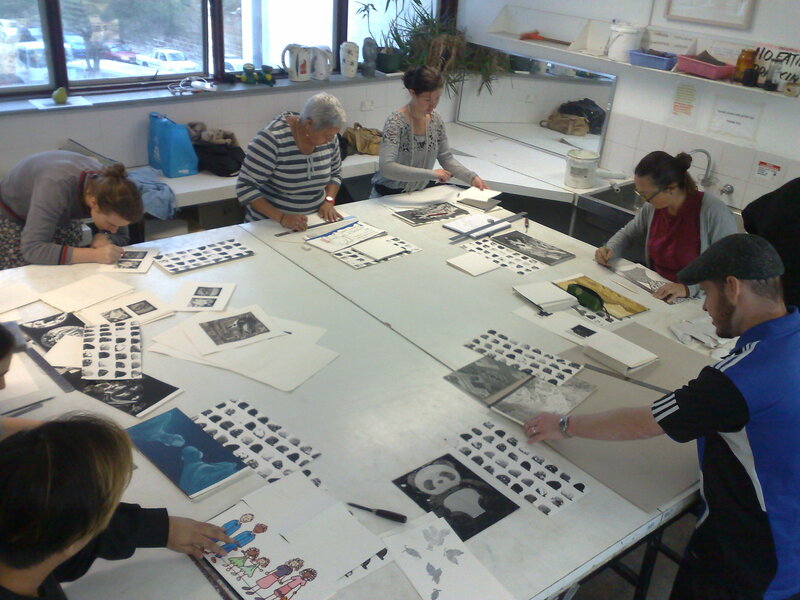 Custom Printmaking was recommended by every student I spoke to who had done it, as you have the opportunity to work with highly respected practicing artists making editions at Cicada Press – in the COFA printmaking rooms. 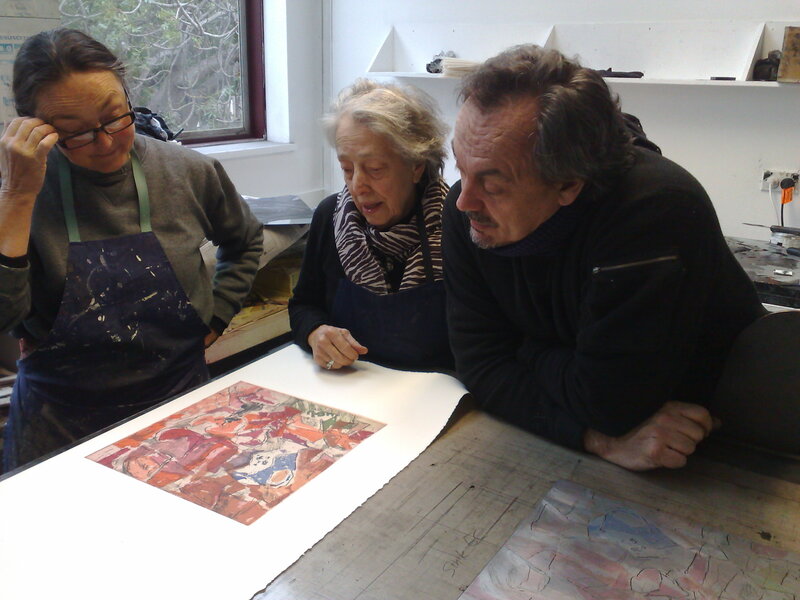 The experience has provided insights that will permanently affect my work – Elizabeth Cummings, whose work I greatly admire, and who is an eminent and expressive artist, came in to share the studio. Her use of separate plates for different parts within the overall image is fascinating. The seemingly disparate elements become united in the prints – adventurous and assured work the is result. Euan Macleod was also working there this semester. His paintings have a sense of mystery that I have found compelling. To be able to watch him work at Cicada Press with no references – drawing from memory – was energising. 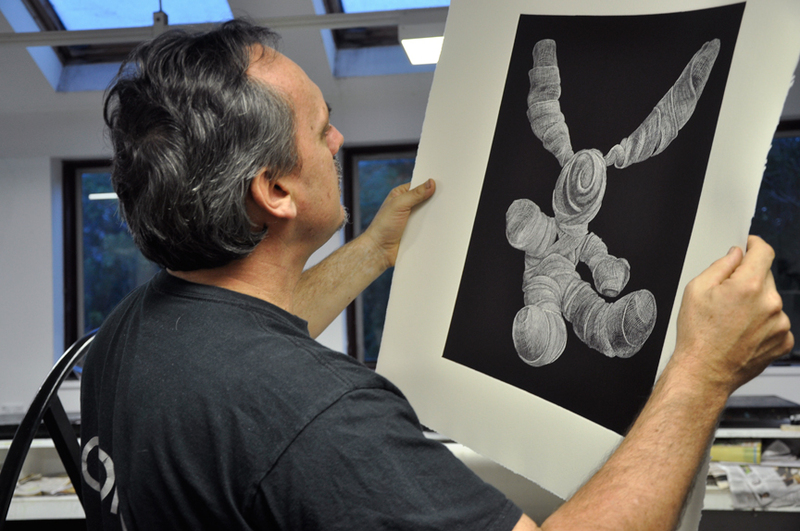 His technique allowed great fluidity and expressiveness and is completely consistent with his painting. 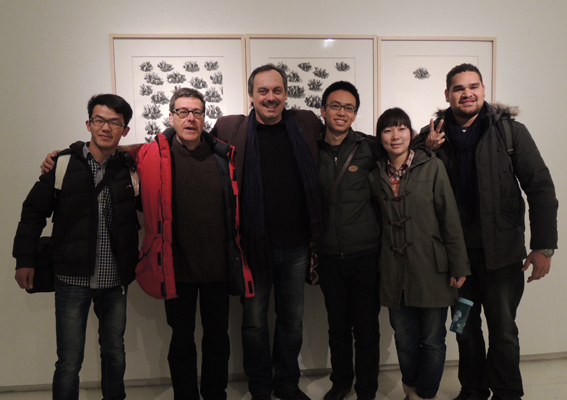 Both these artists – confident and expert in their practice – were willing for us the students, to learn from them directly. 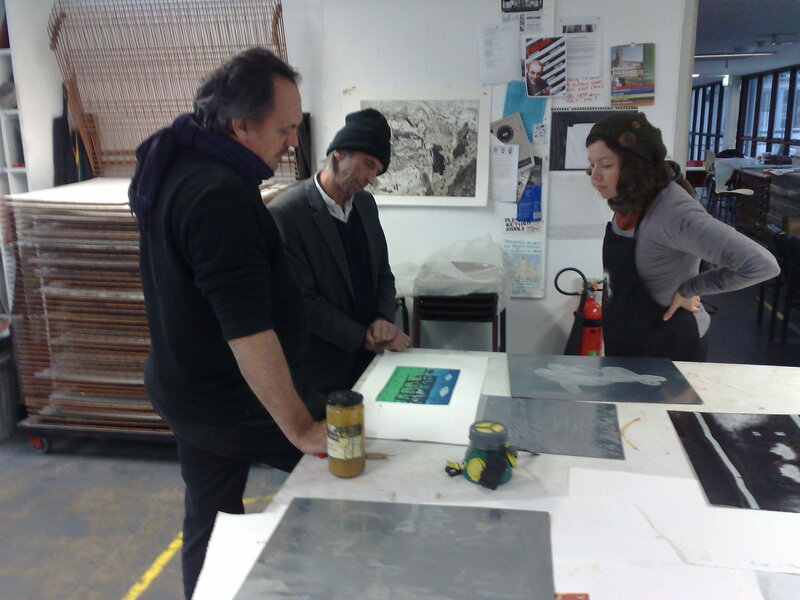 The print studios were a big attraction for me enrolling at COFA – the facilities as well as the tangible energy and quality of work on the walls. I have not been disappointed. The tutors have been outstanding in both their knowledge of the medium and the application of it – they encourage diligence in pursuing better technical results and the realisation of your intention. I am gaining tremendous insight under Michael Kempson’s direction. 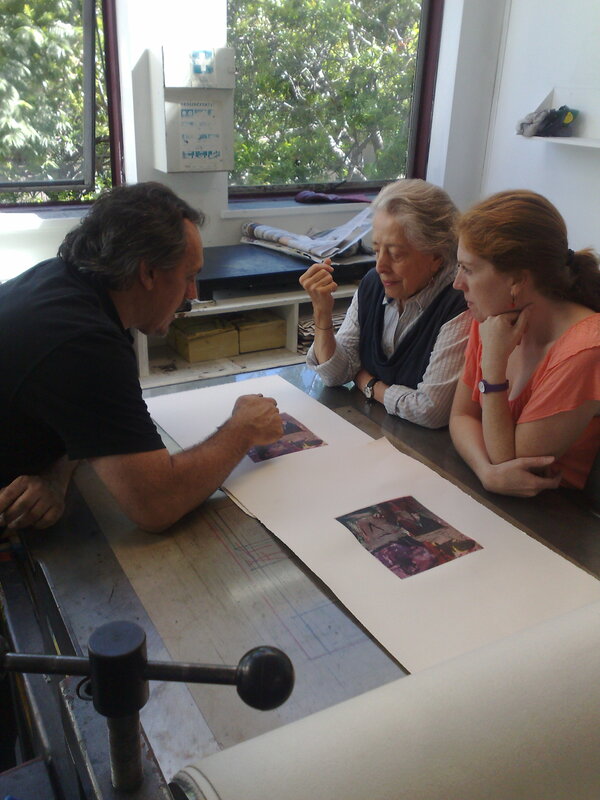 His feedback at each stage of my work and of work we have helped process as a group has given me a much deeper understanding both of professional printing techniques – and of how to teach. 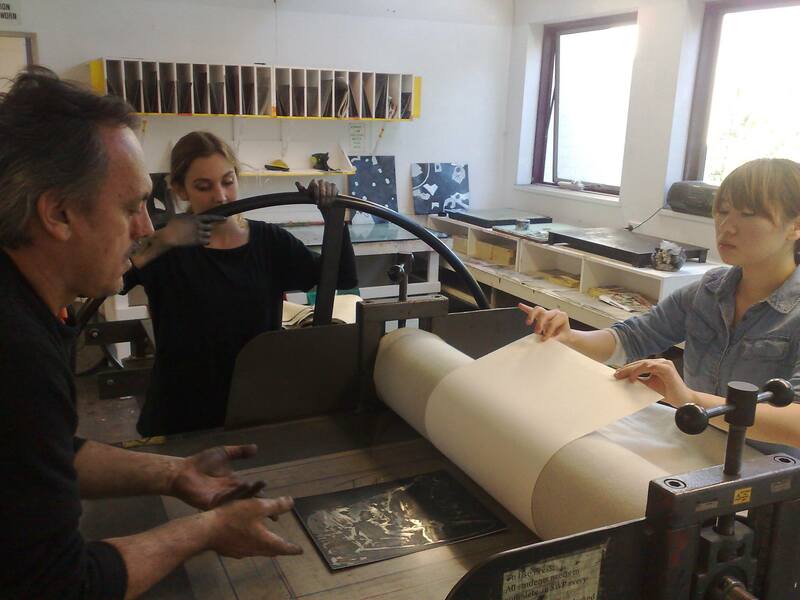 The atmosphere in the print rooms is very welcoming and inclusive. Bound by a shared experience and difficulties as well as triumphs – students exchange ideas, ask questions and support each other. The whole experience is enlivened by shared information and empathy both between the students and between the staff and students. 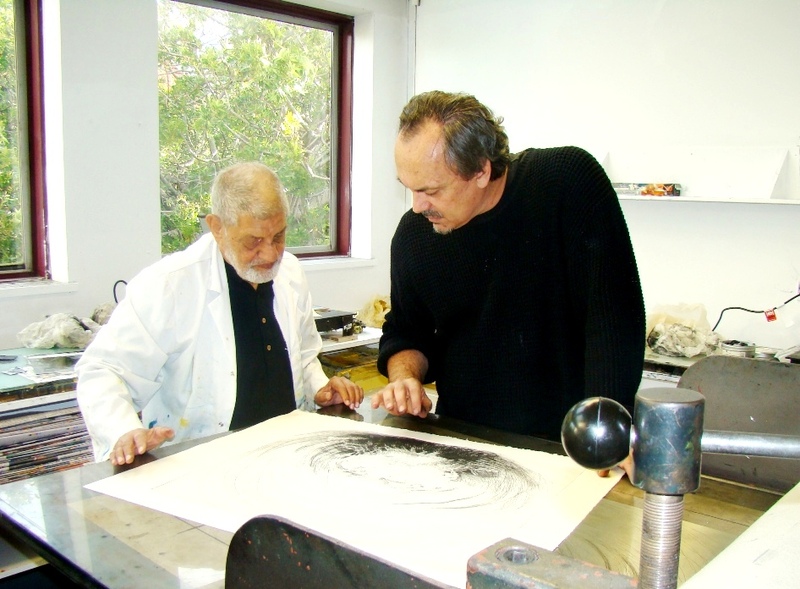 Further to this the relationships with aboriginal artists both from remote communities and distant townships and the relationships with institutions and artists from overseas that Michael Kempson has initiated, radiate inclusiveness and build broader experience.